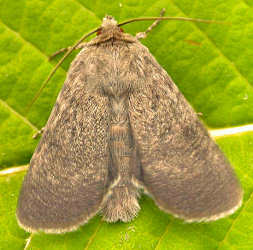 Rare, this species has been recorded just three times in the county, the last in 2011. Wingspan : M & F, 36-46mm. Dotted Rustic, Stout Dart and the Grey. Coastal cliffs and other rocky places inland such as quarries. Overwinters as a small larva. Larva October-May, feeding at night.